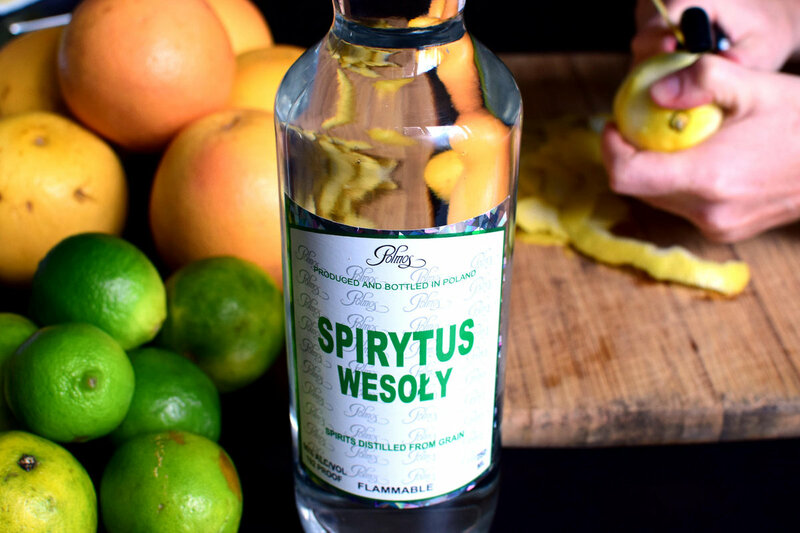 A bottle of 96% grain alcohol we use to make Limoncello. Removing the pith from lemon peel. 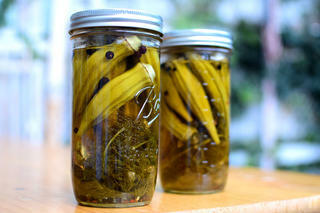 Pith removed and peels added to mason jars. Adding the grain alcohol to the peels. Straining the Limoncello through cheesecloth. Adding simple syrup to dilute and sweeten. 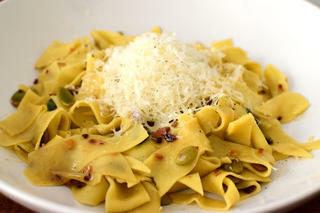 Learn more about this recipe in the post Limoncello. 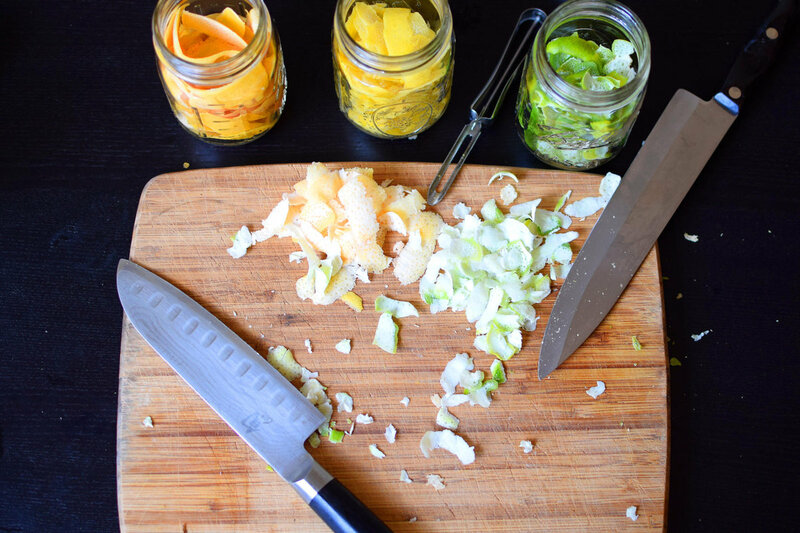 Peel the lemons using a vegetable peeler. Use the lemons to make Rosemary Lemonade, a lemon merengue pie, or something else delicious. 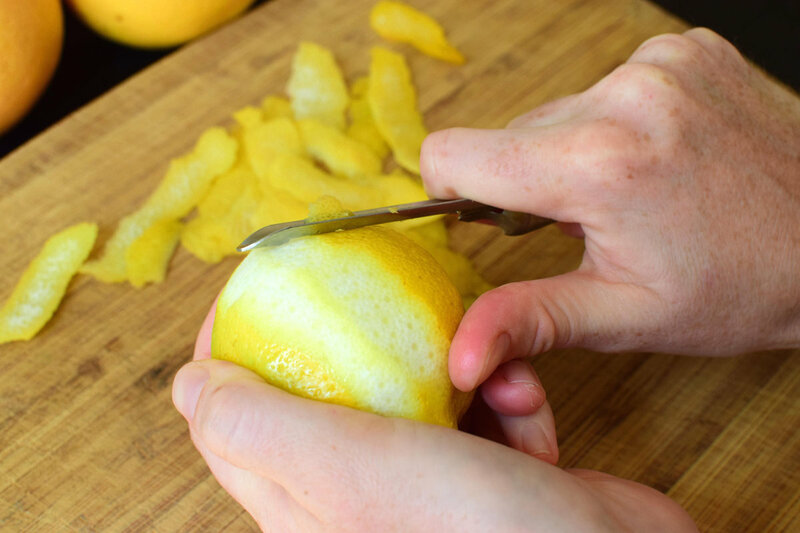 Remove as much pith as possible from the lemon peels by running a knife nearly parallel to the peel (see photo). 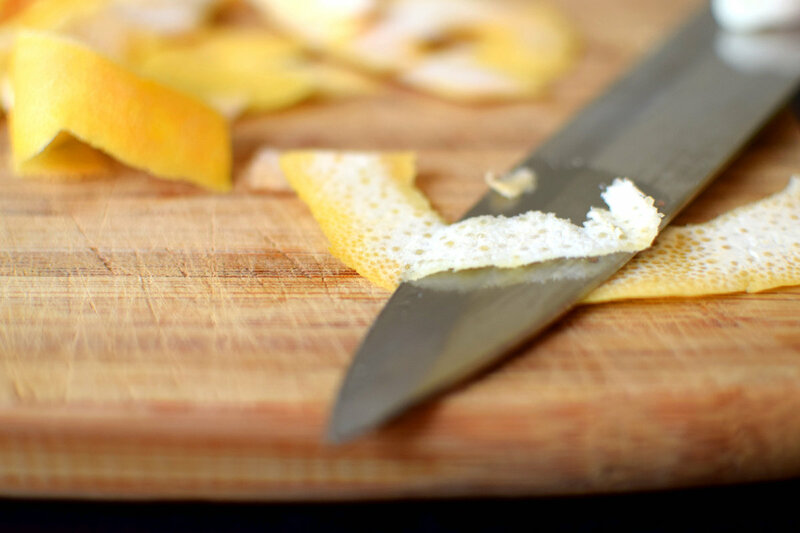 Use a good amount of pressure on the knife to press it against the peel and slice the pith using a sawing motion. 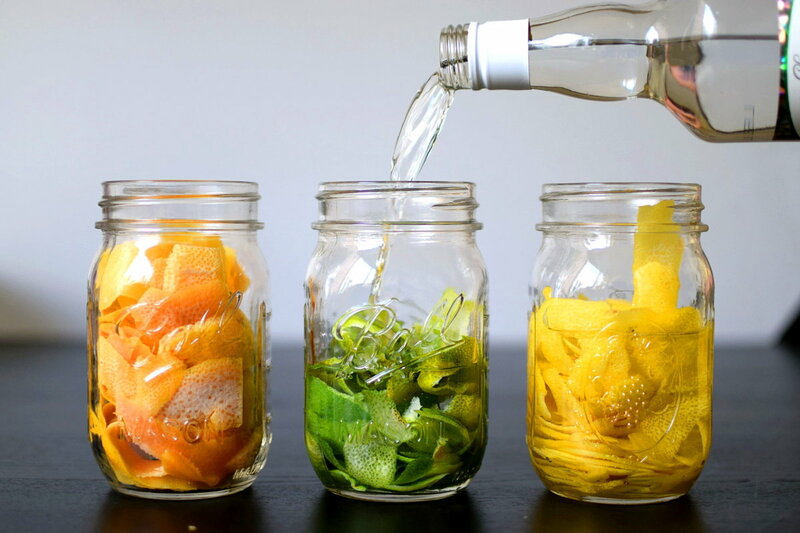 Add the peels to a 1-liter glass container. Add the booze. 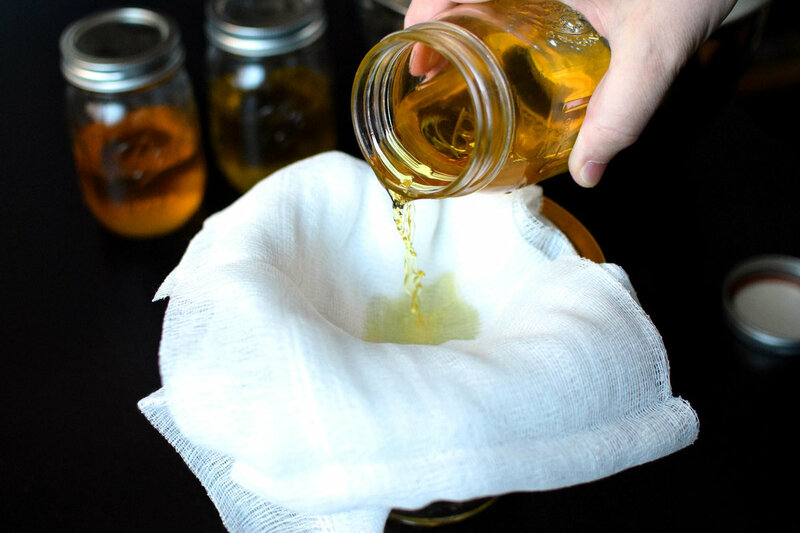 Wait at least a week, then strain the booze through cheesecloth into a large metal bowl other other metal or glass container that can hold 3 liters and add the simple syrup (see recipe notes for details on making clear vs. opaque Limoncello). 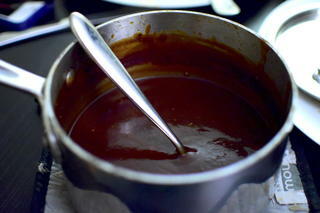 Make a simple syrup by combining the sugar and half the water in a saucepan and bring to a boil. Remove from heat and slowly add the remaining water to cool the syrup a bit. Let the syrup stand until room temperature. 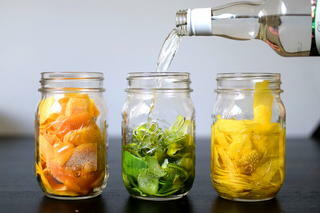 Add to booze (see note about clear vs. opaque limoncello). Bottle and store in the freezer. Serve cold! 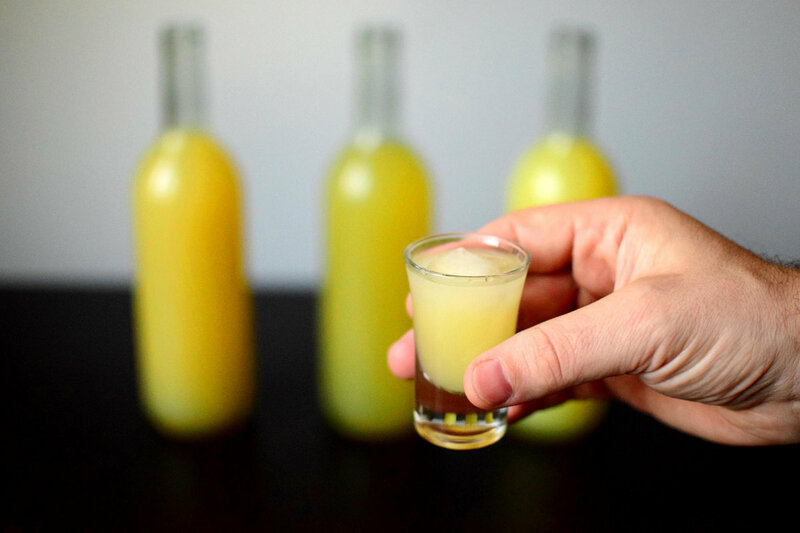 You want to aim for around 30% alcohol by volume (ABV), and around 1 to 1.5 cups sugar per liter of finished Limoncello, so adjust the recipe accordingly depending on the kind of alcohol you use and how sweet you'd like the finished product to be. 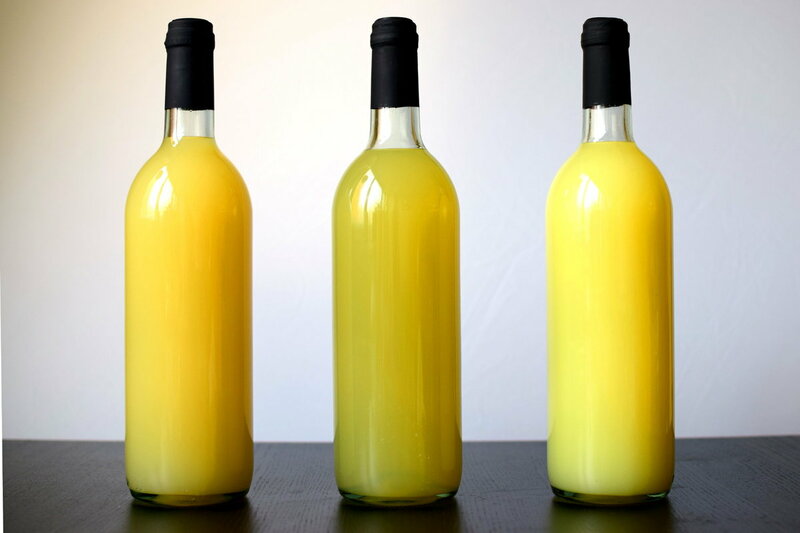 You can make Limoncello clear or opaque. 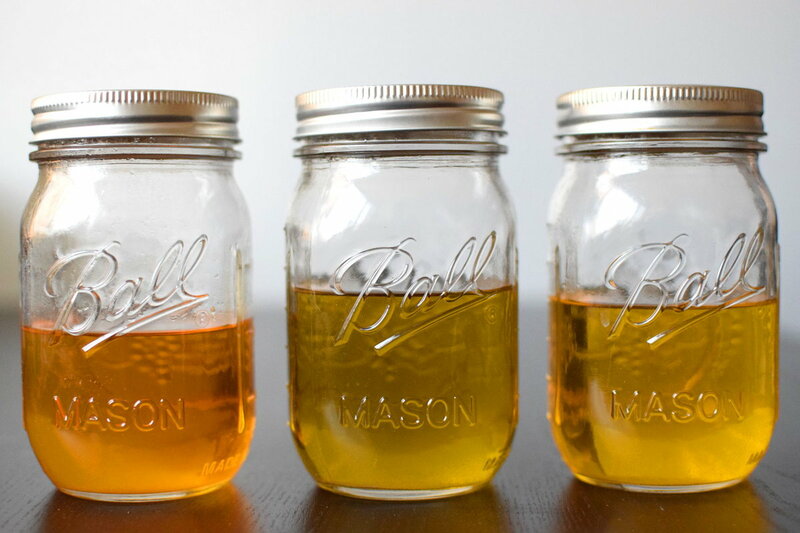 To make it clear, keep the ABV above 30%, and make sure the simple syrup is the same temperature as the booze before you add it, and add it very, very slowly, stirring slowly and carefully. To make it opaque, add all the syrup at once when it is slightly warmer than the booze. 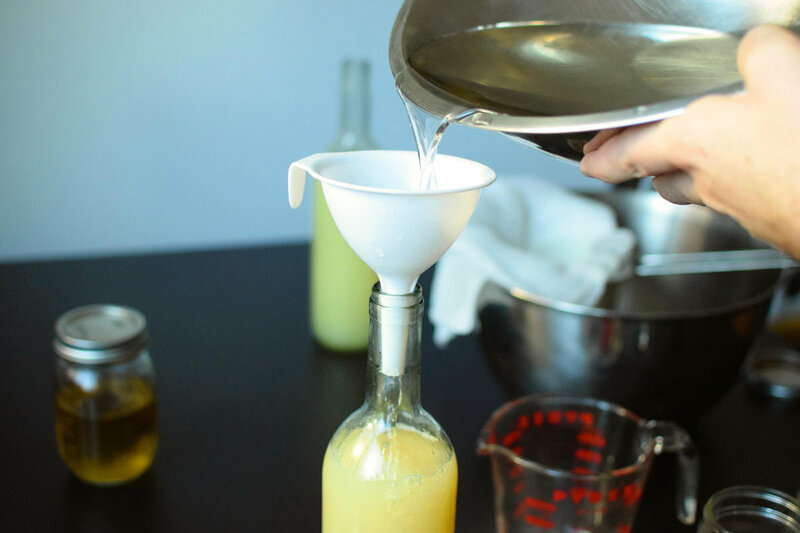 To make Limoncello using grapefruit (our favorite! ), use around 9 grapefruit per liter. 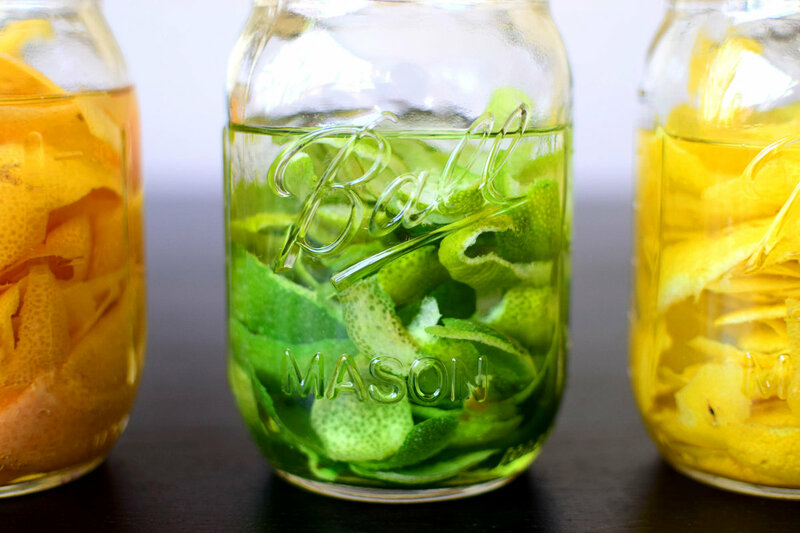 To make Limoncello using limes, use around 20 limes per liter (you can also use a microplane to remove the peel when using limes, since its a lot tougher to remove all the pith from their smaller, harder peels).